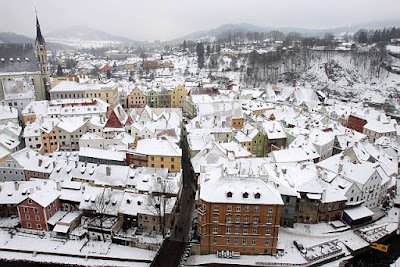 Český Krumlov, a town in the Bohemian region of the Czech Republic, and also a UNESCO World Heritage Site, is definitely a destination worth stopping a couple of days for, especially if you are traveling in winter. 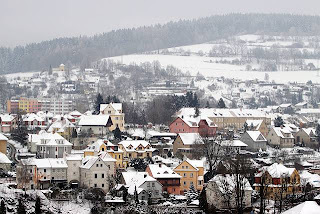 From the bus terminal, as you walked to the old town in Český Krumlov, you will walk over a hill overlooking it, and the view you get is like a page off a fantasy story book. Draped in white, over a mixture of architecture styles (Baroque, Renaissance etc), the scene is postcard perfect. 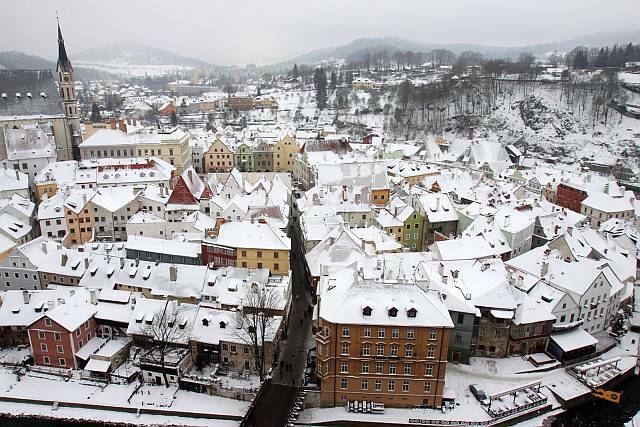 In winter, Český Krumlov is arguably the prettiest town in the Czech Republic. 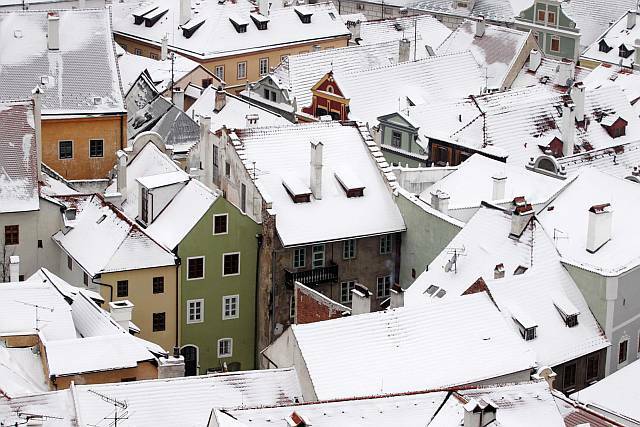 Despite its touristic popularity, Český Krumlov has a charming, easy-going and laidback feel about it. Within the old town, the narrow cobblestone streets coupled with various cafes, art galleries, exhibits and cute little shops makes for a really enjoyable stroll around town. 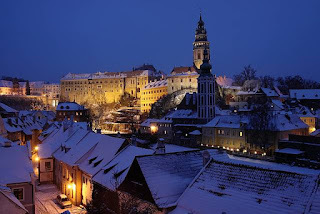 And lording above everything else, the Český Krumlov Castle watches over the town. Climbing the castle tower (you need a ticket though) yields a birds eye view of the surrounds, and on a good day, it provides an extremely pictureque panoramic. As for accommodation, pretty pensions are scattered all over town and would be the recommended option if you are not alone. Of course, hostels are available too for the independent traveler. 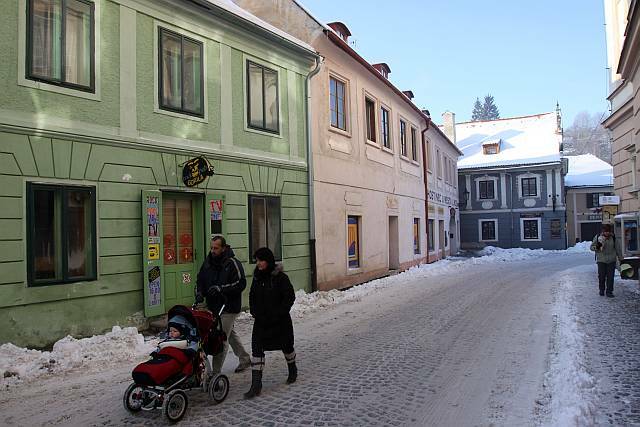 Just 3-4 hrs by bus from Prague, it is a convenient and recommended stop in the Czech itinerary. Especially in winter! Residing at a hostel was a perfect means to get together other young travelers from around the world. A lot of hostels manage parties and pleasure trips for travelers and loads of have a bar where travelers can meet and get to know each other. I reccommend to get to Cesky Krumlov by a shuttle bus. Especially from Austria because it's difficult to get over borders by public transport. There are hills on austrian-czech borders so trains have to go around which takes a lot of time and at least 1 switch. And the shuttle bus can even be a lot cheaper than train. 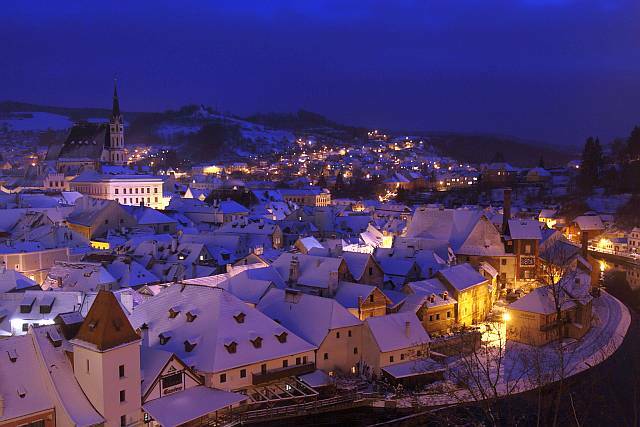 Check http://www.shuttleceskykrumlov.com for possibilites of transport to (from) Cesky Krumlov and discounted last minute shuttles.